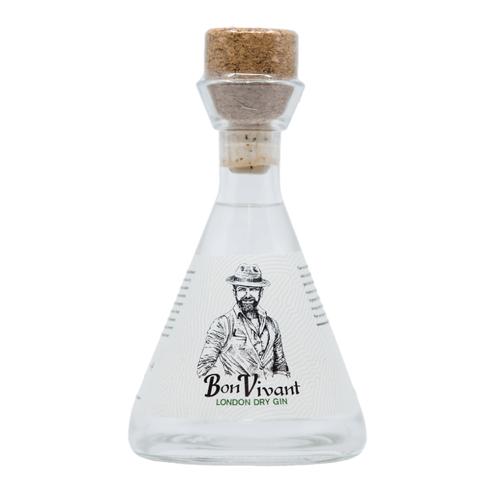 Bon Vivant Gin is distilled in the traditional London Dry method in a real copper Holsteinerketel. The result is a sublime distillate of juniper, sweet orange, lemon, lemongrass, cardamom, coriander, angelica and orris root. Let yourself be seduced by its fresh palate of delicate fruit and citrus notes. Bon Vivant Gin is perfect served with a neutral tonic and finished with a mint leaf. Bon Vivant Spirits is a brand with two big dreams: on the one hand, expanding the brand into an international label, and on the other hand, supporting young entrepreneurs in their own quest for success. Are you an entrepreneur yourself? Please give us a shout! Bon Vivant Gin in your shop?